An actor takes a trip to the woods to scatter a late friend's ashes, only to find himself menaced from beyond the grave. For those left behind, the sudden death of a loved one can often leave a resentment at the closure denied, causing us to torture ourselves over how we may have treated the deceased during their time on the plane of the living. Who isn't left with some regret over failing to let a deceased friend or family member know how much they meant to us while we had the chance? When said loved one chooses to end their own life, without so much as a final note to explain their actions, this sense of guilt and responsibility among those left behind is greatly exacerbated. That's the situation Travis (Ben Hethcoat), the haunted (in every sense of the word) protagonist of writer/director Billy Ray Brewton's melancholy indie Show Yourself. Travis arrives at a secluded woodland cabin with an urn containing the ashes of his late friend Paul (Clancy McCartney), a suicide victim whose sole request was to have his remains scattered in a nearby lake. Travis delays the ceremonial scattering, perhaps because he's struggling to let go of Paul, and scatters a small amount into the lake, holding some back in the urn. Torturing himself further and looking for clues to Paul's state of mind, Travis replays old videos of himself and Paul in good (playing pranks and creating goofy short films) and bad (Travis stumbling upon his girlfriend in a compromising position with his friend) times. Echoing a prank seen in one of the videos, Travis awakes to find part of his eyebrow has been shaved off. That night there are repeated knocks on his cabin door, but when he answers, nobody is to be seen, as though Paul has returned from the grave to continue the game of nick-nack we glimpsed himself and Travis indulge in on an old video. Though terrified, Travis sets out into the woods seeking a confrontation with his late friend. Brewton's first feature since his 2008 debut Dead Ahead explores the great quandary of human loss. When we lose a loved one we wish for them to return, but how terrifying would it be if our wish was actually granted? By withholding details of Travis and Paul's friendship, we begin to question the latter's motivation for haunting the former. The lo-fi nature of the footage Travis views suggests it was filmed quite some time ago, leaving us to wonder what sort of terms the two men were on at the time of Paul's death. As the confrontations between Travis and the spirit of Paul evolve from the metaphysical to the all too physical, an anger begins to grow between both parties as they pull on both ends of our mortal coil in a tug of war between the spirit world and ours. 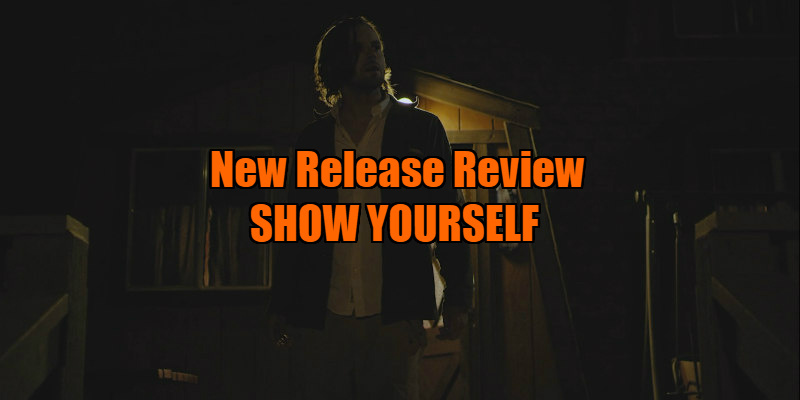 While Brewton's direction and Hethcoat's sympathetic hang-dog performance both do an effective job of creating a melancholy mood, Show Yourself is a little too rough around the edges to join the list of great intellectual horrors. 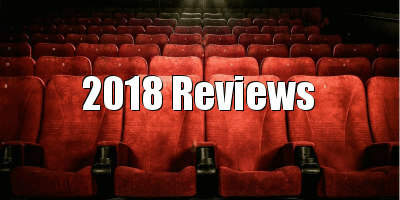 Many of the soundtrack choices kill the mood as the music playing in Travis's earbuds becomes a non-diegetic score, and Brewton relies too much on Skype calls between Travis and his friends (including Princess Cyd director Stephen Cone) as a way of feeding the audience nuggets of the wider scenario. Aside from such niggles, Show Yourself is an intriguing and engaging exploration of loss and the torturous self-doubt of those left behind, and an inspiring example of what can be achieved on a miniscule budget with a couple of actors, a forest and a simple human truth. 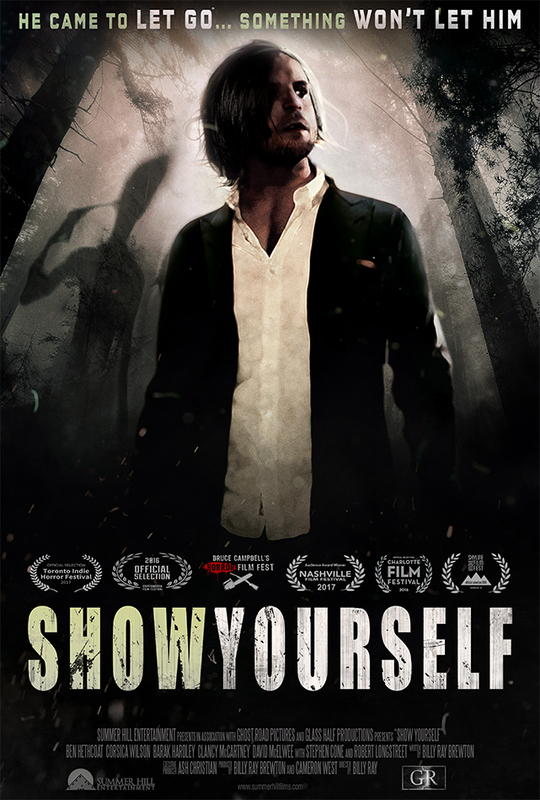 Show Yourself is on DVD/VOD August 14th.